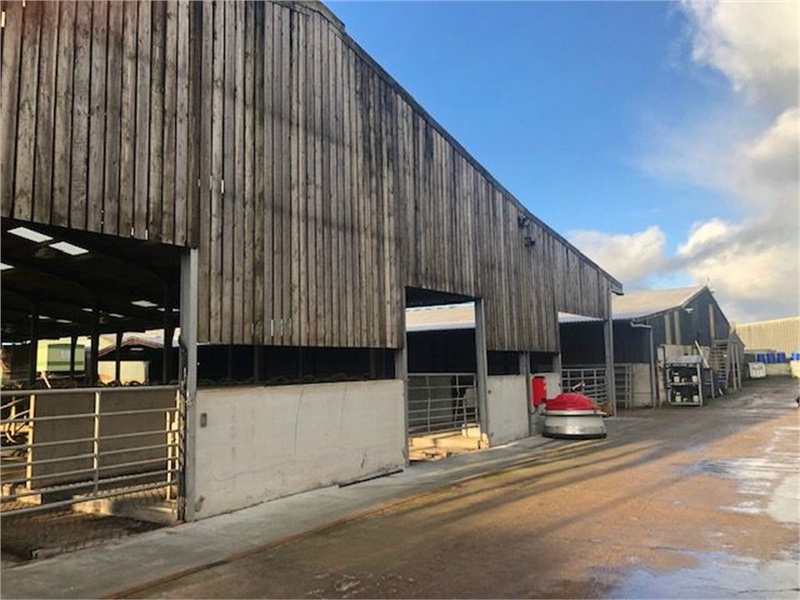 • One of the finest Dairy Farms to be offered for sale in the area for some time including over 40,000 square feet of purpose built buildings. 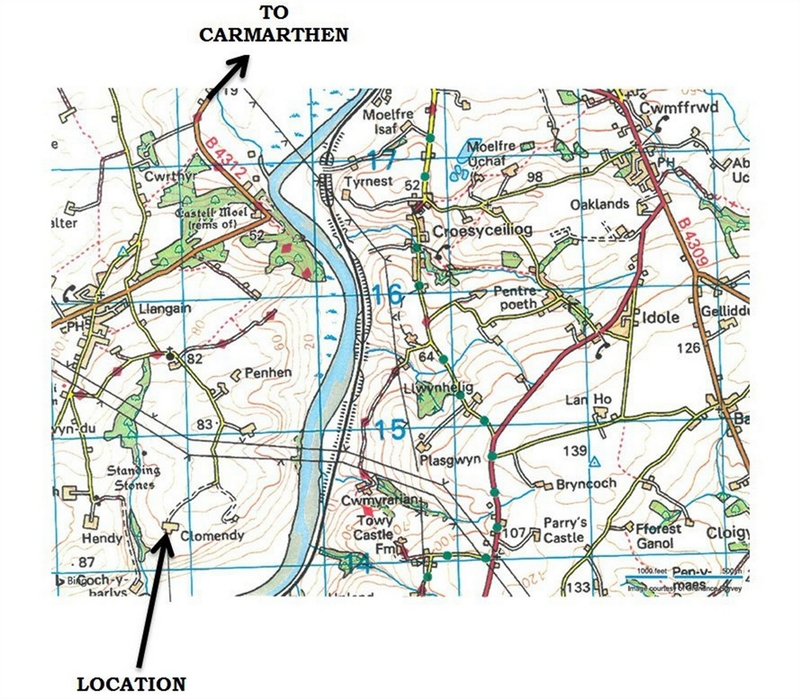 • Convenient rural setting with stunning views of the tidal waters of the River Towy. 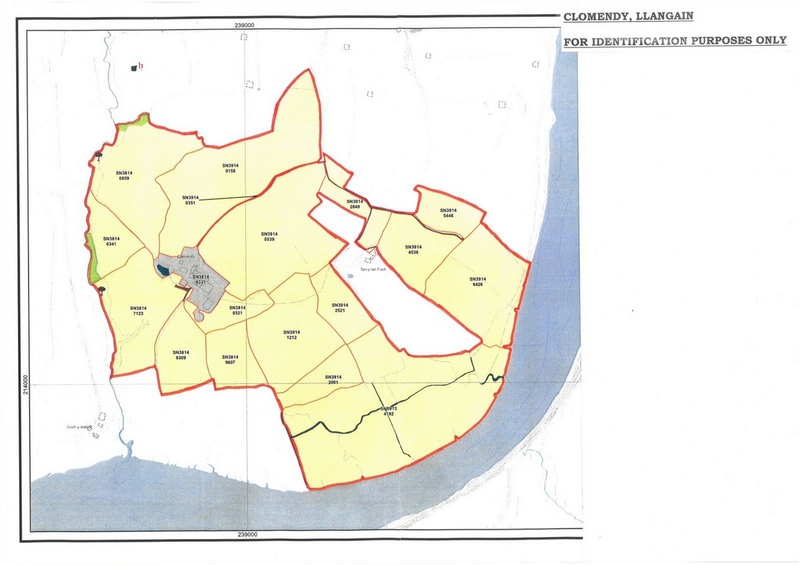 • Approximately 183 acres of land being 145 acres of highly productive pasture together with 38 acres of salt marsh that is ideally suited for young stock. • 5 Bedroomed main Residence with the option to purchase a further bungalow. • Available as a whole or in smaller lots to suit purchasers’ requirements. EPC Rating E.
With radiator, laminate floor, stairs rising to the first floor and wall lights and a door also opening into a rear hallway which has a further door to the rear. 5.16m x 3.96m (16' 11" x 13') With a focal point of a stone fireplace with a slate hearth and radiator. UPVC double glazed window to the fore. With uPVC door to the rear. With sink and tiled floor. With shower, W.C., radiator, wall mounted electric fan heater. 4.29m x 3.61m (14' 1" x 11' 10") With open beamed ceiling, stone tiled floor, inglenook, ‘Belfast’ sink, plumbing for an automatic washing machine, oil fired boiler and loft over. With uPVC window to the fore and radiator. 4.24m x 4.19m (13' 11" x 13' 9") With uPVC window to the fore, space for fitted wardrobe, borrowed light from inner landing. With 3 piece suite, ‘Triton’ shower and radiator. 3.99m x 3.89m (13' 1" x 12' 9") With radiator and laminate floor and uPVC double glazed window to the rear. 3.12m x 2.67m (10' 3" x 8' 9") With radiator, uPVC double glazed window to the rear and laminate floor. 4.39m x 3.66m (14' 5" x 12') With radiator, built in wardrobe, airing cupboard and laminate floor, uPVC double glazed window to the rear. The farmhouse is situated slightly away from the farm buildings with domestic outbuildings including a Garage/Workshop. There is also a garden and lawned area to the front of the residence. 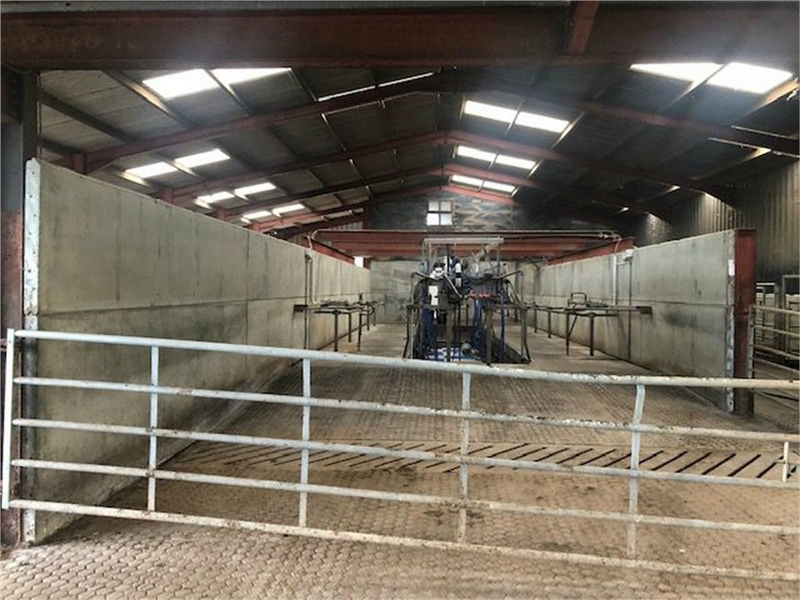 The farm buildings comprise an extensive range of buildings that are typical of a progressive farmstead development but it must be appreciated that there has been a significant investment in buildings in recent years and Clomendy now offers an impressive range of farm buildings specifically developed for dairy use with the value of high yielding dairy herd of paramount importance. The buildings are all located around concrete or compacted stone yards. Opposite the residence is a Stone Range that comprises a former Mill House of solid stone walls under a slate roof although part is under a box profile clad roof with a lean-to former Dairy adjoining under a corrugated asbestos roof and a further Store Shed. 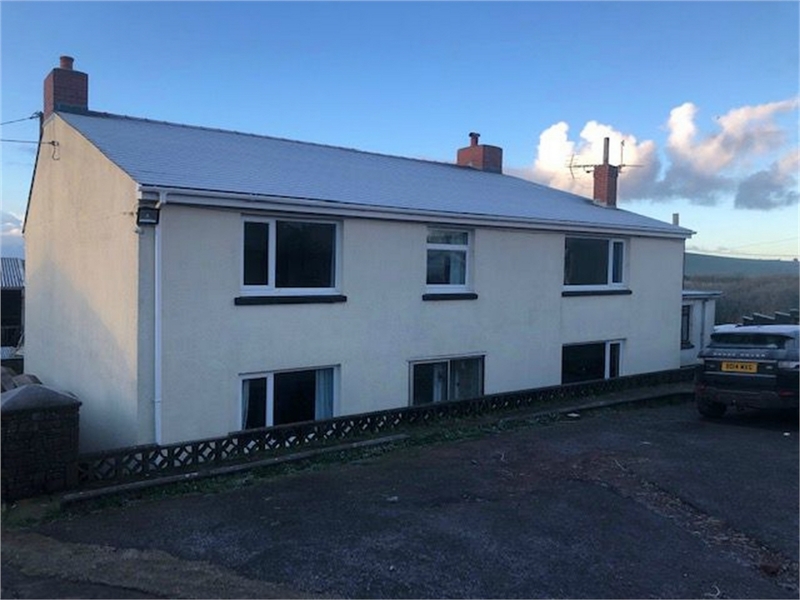 We consider that this element of the property has potential for conversion to residential use, subject to the necessary planning consents being obtained. To the fore of the residence is an open fronted Cattle Shed 60’ x 45’ with 5’ overhang. This is a steel portal frame construction with box profile cladding to the elevations under a fibre cement roof and is internally divided into 2 halves. 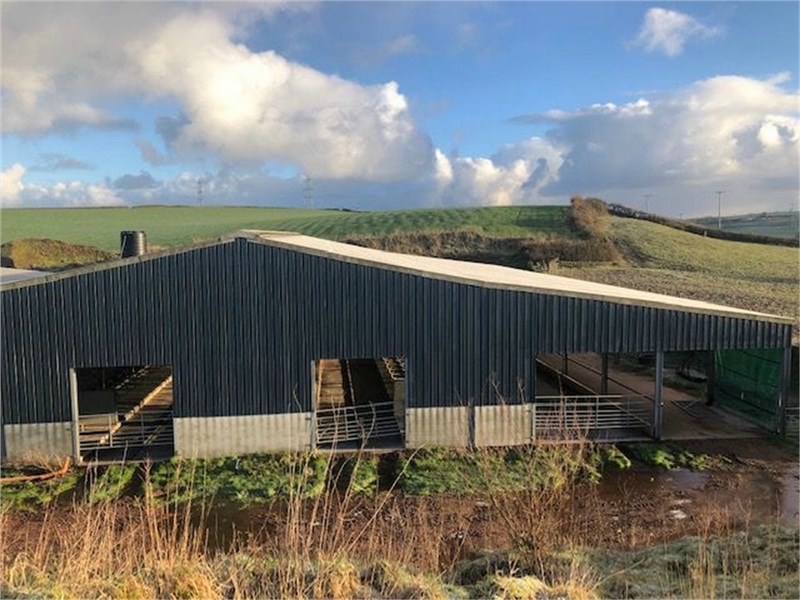 There is a further open fronted Cattle Shed 60’ x 40’ being of steel portal frame construction with infill block walls to 3 elevations with Yorkshire Board cladding overall under a cement fibre roof and being ideally suited for heifer rearing etc. There is small block built Store off. Opposite this is the Former Dairy principally constructed of block walls under a corrugated iron roof which was previously used as a Farm Office but now provides additional storage. Straw Shed 60’ x 30’ of steel portal frame construction with box profile clad walls and roof. Former Cow Shed of block walls under a corrugated asbestos roof 35’ x 70’ approx. And now used for loose housing. 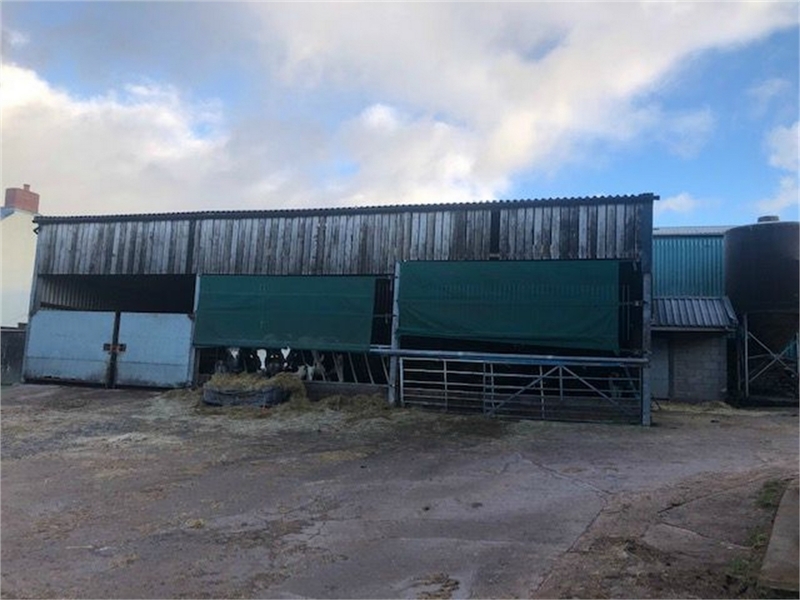 Open fronted cattle/machinery shed 40’ x 25’ approx. Again being of a steel portal frame with box profile cladding to walls and roof. Cubicle Shed with cubicles for approx. 100 head being 75’ x 112’ and being a steel portal frame with box profile clad elevations under a cement fibre roof and auto scrapers. 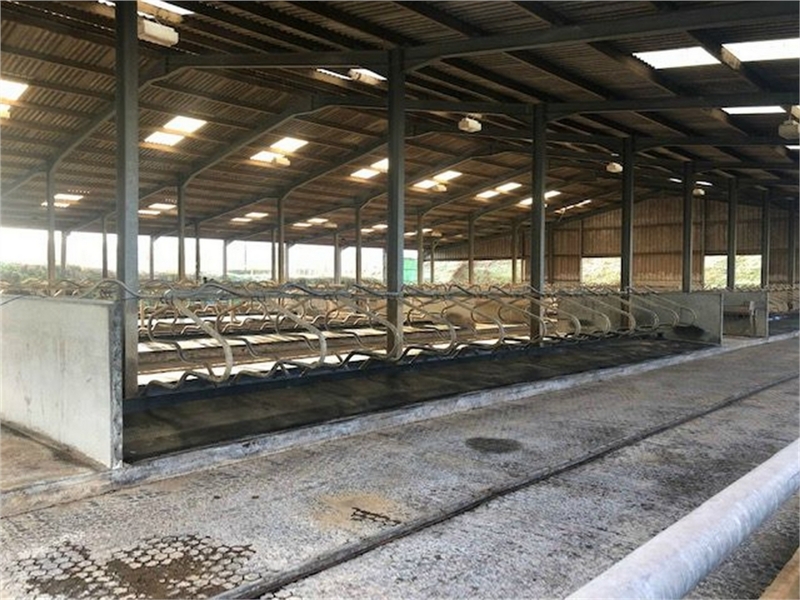 Dairy – with hot and cold water, heat recovery set up and with 2 bulk tanks 6000 litres and 16000 litres and leading into a Fullwood 26 point Herringbone parlour with ACRs, milk meters, auto wash and covered collecting yard adjoining that includes an integral race; This building is again a portal frame of similar construction to the other buildings on the farm and measures 75’ x 40’ approx. With loose housing being 75’ x 30’. There is an office area and pump room over the dairy. 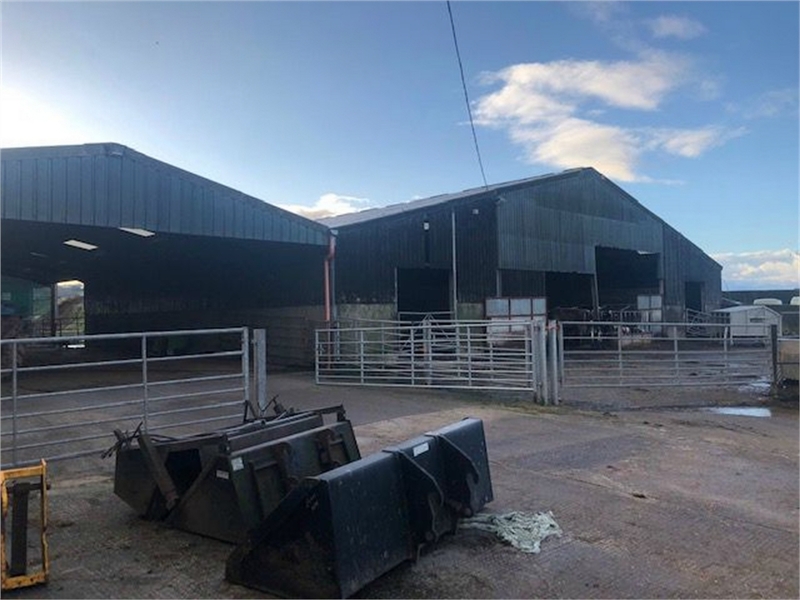 Adjoining this building is a further Cubicle Shed being 130’ x 135’ approximately offering 150 cubicles and again being a steel portal frame construction with Yorkshire Board cladding, automatic lighting etc and automatic scrapers. Covered Clamp and lean to Cubicles being 90’ x 60’ approx. 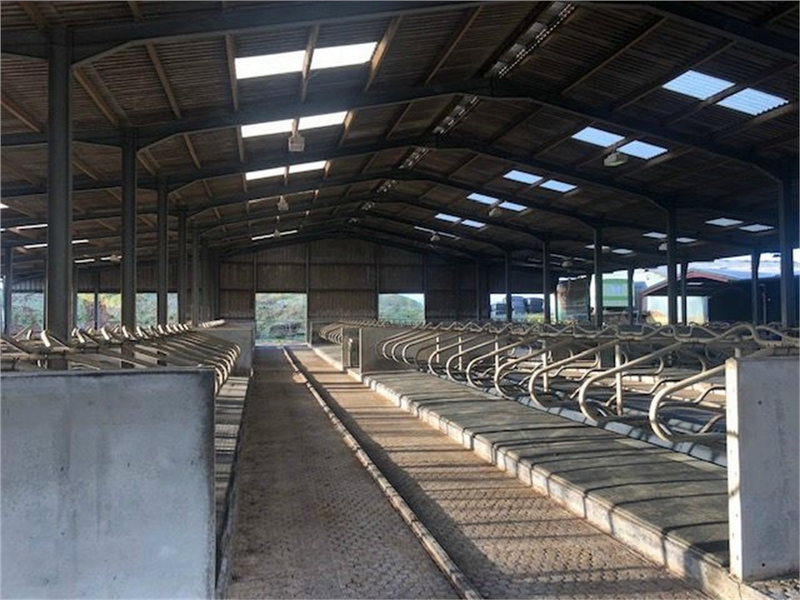 And being the original silage clamp with lean-to cubicles providing a total of 66 cubicles between lean-to. These are used for young stock and dry cows. Silage Clamps. Two silage clamps being 100’ x 45’ and 90’ x 45’ with concrete handling area between them. N.B. A slated area within the yards leads to a Reception Pit and a 490,000 gallon Perma Store. The majority of the buildings have light and water connected and there are feed passages at several locations. 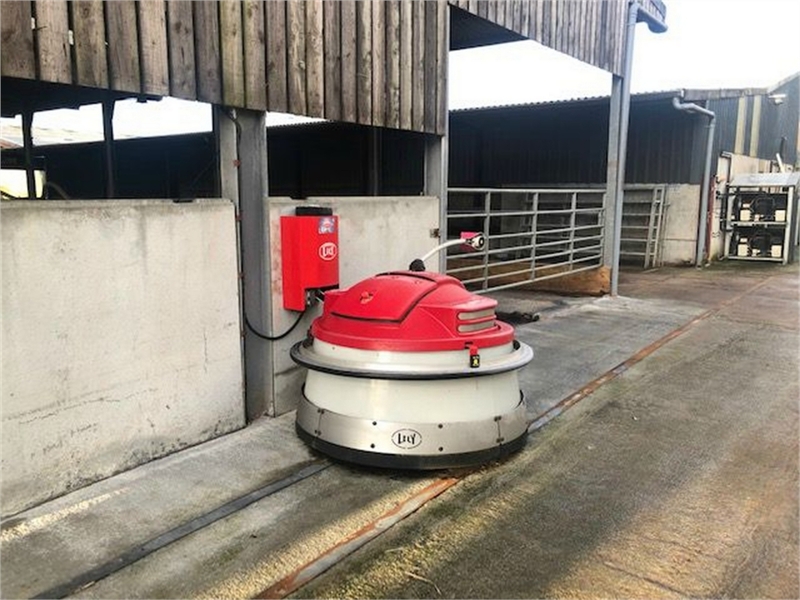 An innovative feature of this farm is an automatic silage push system. To the rear of the buildings is a Static Caravan. The land extends in total to some 183 acres or thereabouts all of which is within easy reach of the farmstead, being within a ring fence. 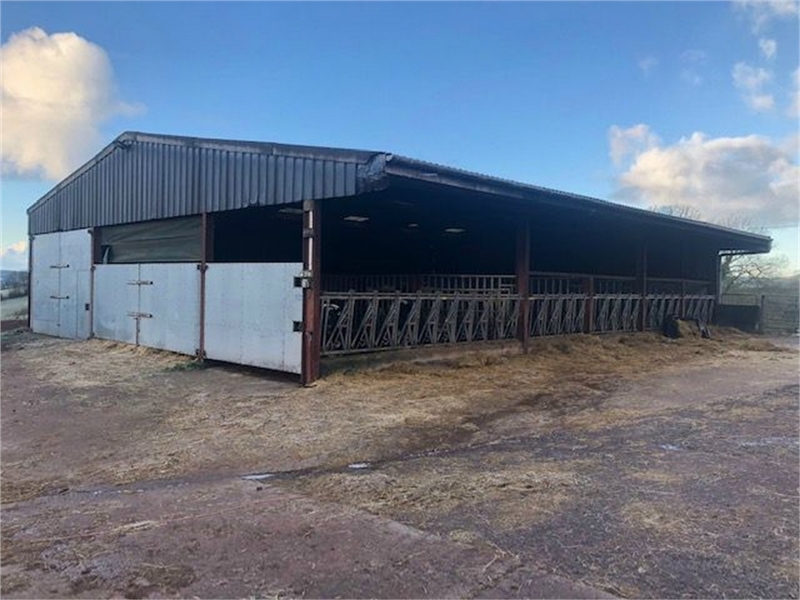 Approximately 145 acres is a good quality level or gently sloping pasture land that is divided into easily worked enclosures with suitable access to water supply etc. 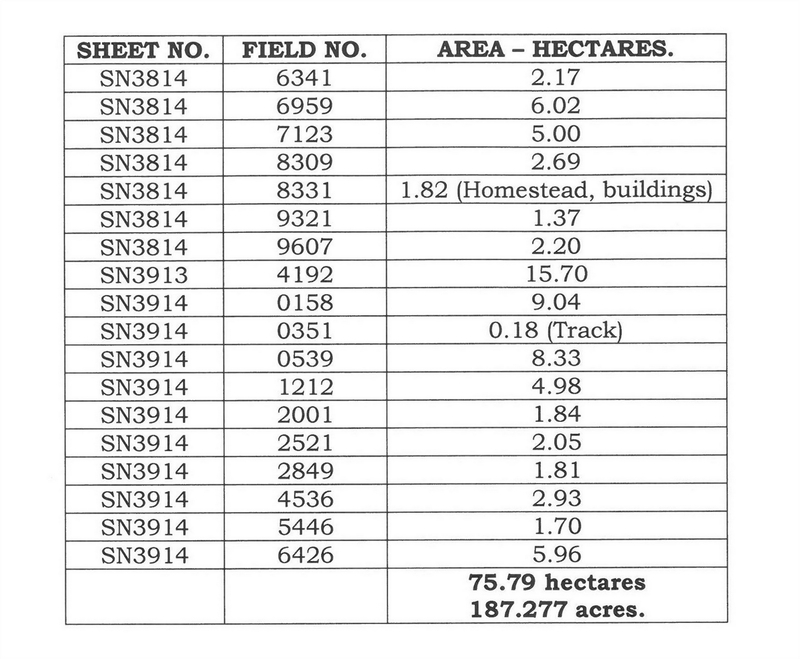 That is suitable for grazing and cropping on rotation. The land is well fenced and gated. There is also a parcel of some 38 acres of salt marsh that has historically been used for summer grazing for followers and offers a useful block of additional land. 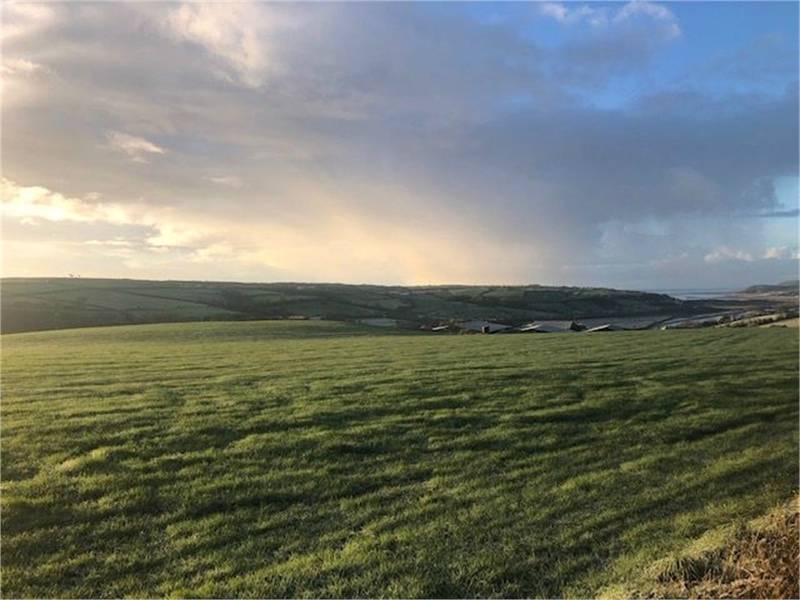 As mentioned above the farm is located within an inherently fertile block of highly productive and well regarded agricultural land with a good depth of top soil. It has been farmed to a very high standard and is suitable for grazing or cropping on an appropriate rotation.